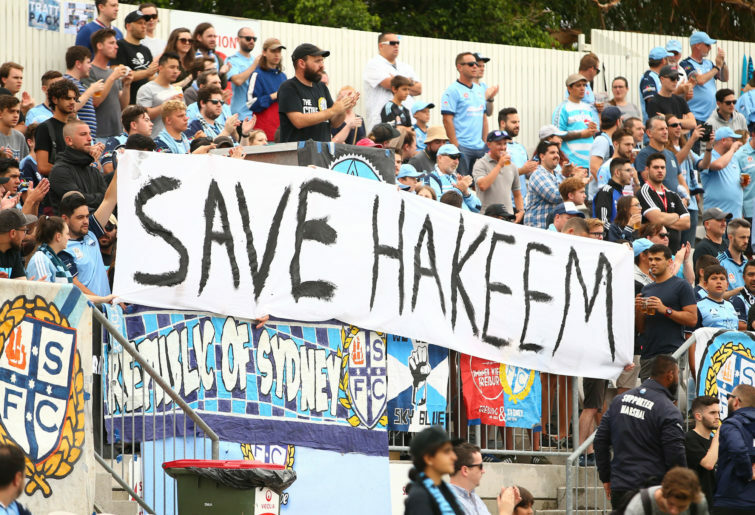 The outpouring of public emotion at the plight of Hakeem al-Araibi is a reminder of how powerful football can be when everyone in the game pulls together. There’s nothing to be gained from trivialising al-Araibi’s case. At the end of the day, a 25-year-old refugee remains locked in a Thai prison, separated from his wife and at risk of being extradited to a country where his life is in danger for a crime he couldn’t possibly have committed. But as sensitive as one needs to be when discussing al-Araibi’s detention – and the only appropriate outcome is for the former Bahrain international to be released by Thai authorities so that he can return to his long-time home in Melbourne – it’s been both heartening and in some ways surprising to see the way the football community has mobilised around the case. There is now genuine pressure on the Thai government to release al-Araibi back into the care of Australian authorities. That pressure has come from a campaign led by former Socceroo Craig Foster, backed by Amnesty International and supported by a cast of thousands of high-profile and everyday Australians. It has resulted in Australian Prime Minister Scott Morrison writing twice to Thai authorities urging al-Araibi’s release and very publicly taking up his cause. The pressure is said to have annoyed Thai authorities – who won’t react favourably to the prospect of losing face – and prompted a terse statement from Bahrain’s Interior Minister, General Shaikh Rashid bin Abdullah Al Khalifa, earlier this week. “External interference in the internal affairs of Bahrain is unacceptable,” the statement read in part. Al-Araibi, who is a Shia Muslim from a country ruled by a Sunni monarchy, alleges that he was tortured after being arrested in 2012 as part of a crackdown amidst the ongoing Bahraini uprising. He was charged with vandalising a police station but was playing in a televised Bahraini Premier League game when the alleged offence took place. He fled Bahrain while playing for the national team in Qatar and subsequently sought and was granted asylum in Australia in 2014, eventually settling in Melbourne and playing semi-professional football with NPL club Pascoe Vale. Al-Araibi believes one of the reasons Bahrain is seeking his extradition from Thailand is because of critical remarks he made about Asian Football Confederation President, Sheikh Salman Bin Ibrahim Al-Khalifa. The AFC was conspicuously quiet following the outcry over al-Araibi’s arrest, only writing to Thai authorities requesting his release more than two months after he was first detained. That response arrived following a torrent of social media activity urging authorities to release al-Araibi from the Bangkok Remand Prison, with the #SaveHakeem hashtag trending across the globe. The letter was also published on the same day a section of United Arab Emirates fans jeered the Qatari national anthem and threw shoes at Qatari players – an offensive gesture in Middle Eastern cultures symbolising the throwing of dirt on one’s adversaries – during the Asian Cup semi-final in Abu Dhabi. And the AFC, which has long functioned as a mini Gulf-controlled fiefdom, has shown little to suggest they can be trusted to do the right thing by al-Araibi. So it’s left to the football community and Australians at large to stand up and speak out on behalf of a refugee currently being used as a political pawn. The outpouring of emotion has been both impressive and immense, and at times it’s almost hard not to wonder why the football community doesn’t expend as much energy actually supporting the game in Australia. But that’s a trite observation to make. What’s at stake here is a young man’s life. The wheels of justice turn slowly in Thailand, but turn they must. And Australians must remain firm and remind the world that Hakeem al-Araibi will not simply be forgotten.